Website of the Month March 2018 – Cartmel Village! 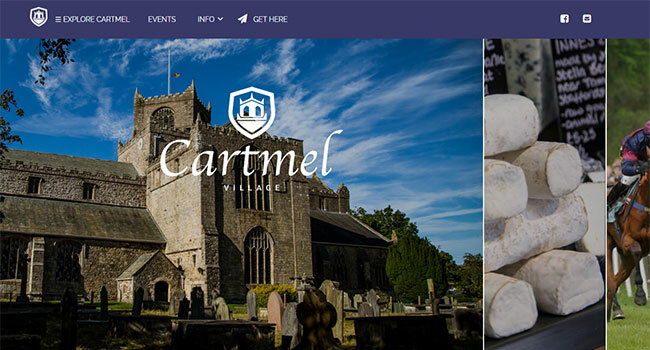 We’re delighted to announce the Website of the Month winner for March 2018 – Cartmel Village! A village located in the Lake District, Cartmel Village is home to a wide array of tourist activities, and the website enables users to browse events in the village, places to eat, and accommodation. The large imagery is designed to catch their eyes, pointing them to relevant website information, and the well-designed and thriving blog section helps keep people informed. The mobile optimisation is also ready for the tourist-on-the-go, giving them the information they’re looking for quickly and easily. Cartmel Village was designed by Make Us Visible, a Cumbria-based digital marketing agency. We talked to David Hamer, director of Make Us Visible, to find out what makes this website work. Who are Make Us Visible and what do you do for businesses? We are a digital agency offering design and development services as well as digital marketing. We are a Google Partner, and also offer Google AdWords, Social Media, and SEO services. How does the website enhance and support Cartmel Village’s goals? 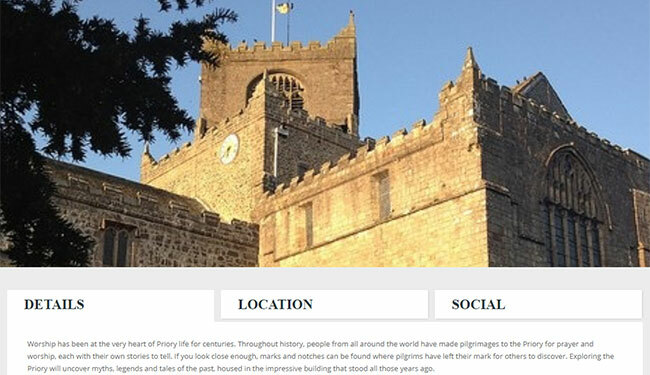 Cartmel Village needed a website showcasing the tourist-related businesses as well as accommodation offerings. Our design allows people to easily browse events, eateries, and accommodation in the village. What would you say the website’s personality is? Our remit was to produce a modern website that had elements of the medieval, which reflected the spirit and history of the village. We think we achieved this with our modern but classic website. When you designed the website, did you design with the customer or did you have a fixed idea on how you wanted to portray the brand? We had a blank canvas in terms of design, including the branding and the logo. We were able to approach the project with a very open mind and produce a look and feel that matched the village. What’s your favourite thing about the website? Having the site be mobile friendly has really hit the nail on the head for tourists walking around the village. What do you think makes this website different from the competition? We’ve created an easy-to-navigate design that is fully inclusive as well. Do you have any future plans for the site? 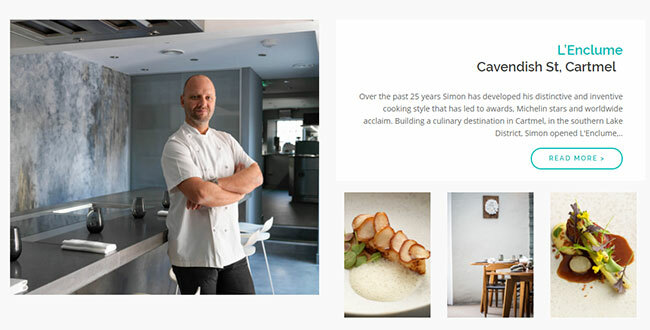 As the village grows and new businesses arrive, we’ll be adding more and more to the website. And what has it been like being a Heart Internet customer? We’ve used Heart Internet for around eight years. The support has been superb and the platform solid. Thank you, David, and congratulations again on winning! If you think you have a site that can win Website of the Month, you can enter through our Facebook post! Submit your site today! Please see our previous post for further details, including terms and conditions.